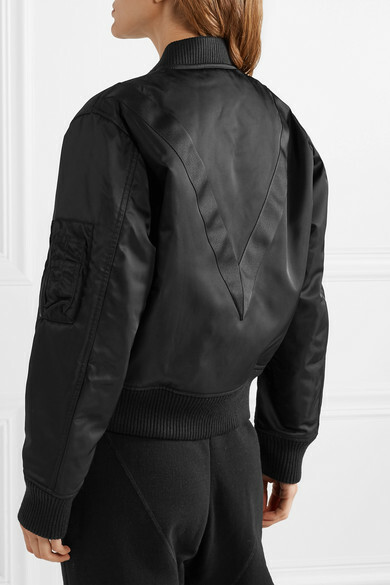 Victoria Beckham teamed up with sportswear powerhouse Reebok to create a collection of stylish yet functional pieces that will take you from the gym to lunch with friends. 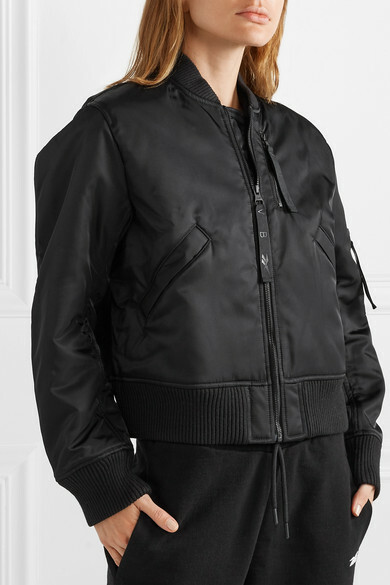 Made from soft shell, this bomber jacket is lightly padded for added warmth and turns to reveal the letter 'V' - a nod to both the designer and label's signature Vector logo. 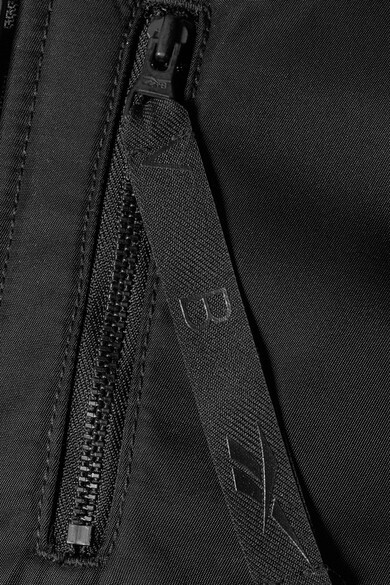 The ribbed trims keep cold air from creeping in. 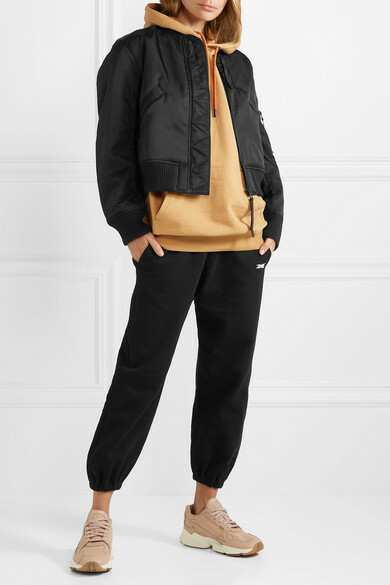 Shown here with: Reebok X Victoria Beckham Hoodie, Reebok X Victoria Beckham Track pants, adidas Originals Sneakers.